We are glad to inform that all Bitcoin Cash coins have been successfully credited to the accounts of CEX.IO users according to their BTC balances. We apologize for the delay with BCH crediting and for any inconveniences it might have caused. Please also note that deposits and withdrawals for BCH are not enabled yet. These options will be activated a bit later when we are fully confident that it is safe. 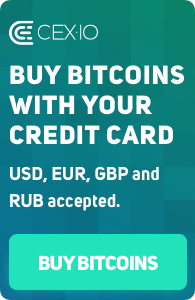 We kindly ask you not to transfer Bitcoin Cash to BTC wallets. The addresses for your BCH wallets on CEX.IO will be provided to you with the activation of BCH deposits. Depending on the activity of the BCH market, we will consider launching margin trading or additional trading pairs in the future.